One of the most overlooked business opportunities for small business owners is selling to government agencies. It’s easy to see why it can be overlooked by some. For many, the process seems tedious and complex. And there is often a lot of competition by larger, better-funded, and more experienced companies. So, why bother? Actually, the government can be a great customer. It has a number of incentives and mandates to specifically help small businesses. But you have to be smart and think strategically. You have to be patient and look for the right opportunities. Many small companies have become larger companies by selling goods and services to government agencies. Imagine a customer that has a big budget and buys almost every conceivable product or service year after year. They buy during good times, and they even buy during recessions. Sounds like a great client, doesn’t it? Well, government agencies do just that. That makes them an ideal customer for many small and growing businesses. Another advantage is that government agencies have mandates to work more with small businesses. They want to work with you and will often help you (within reason!). This can give you an advantage over some larger competitors. Although governments have made a serious effort to work with small businesses, the process can still be cumbersome. Often, you have to pore over long documents to ensure that your company can meet the government’s requirements. This research takes a lot of time, resources, and expertise. You may need to designate at least one employee to specialize in government sales. Alternatively, you may have to work with a consultant. Another problem is that most government sales have low profit margins. Contrary to popular belief, the government does not overpay for things. They have a group of well-trained procurement officers whose sole job is to negotiate on behalf of their agency. Add that to the fact that some contracts will have a lot of competition. All of this drives down your profit margins. As a business owner, you must balance these benefits against the challenges of working with the government. Only you can determine if this is the right opportunity for your company. One thing that often confuses business owners is that the government purchasing process is fragmented and difficult to understand. The federal government procurement process is well consolidated and easy to access. However, individual states are a different story. They have their own procurement processes. These are separate from the federal process. And within some states, each county and/or city may have its own buying processes. This means that if you go beyond federal contracts, you may need to learn a state’s, county’s, or city’s purchasing process and rules. As you can imagine, this can get complicated really fast. The only way to deal with this is to specialize and focus your efforts. Start with one level of government (federal, state, county, or city) and then expand as your abilities improve. Don’t try to do too much at once or you will be overwhelmed. Finding federal contracts is actually relatively easy. Your first step is to register as a federal contractor in the System for Award Management. Once you do that, head over to FedBizOpps where all government agencies post their solicitations. Learning how to find government contracts is relatively easy. It will just take you a day or two to learn how to manage all the search options. Also, consider reading this overview of the process by the GSA and this guide by the SBA. Both guides are good places to start learning about the process. If you plan to compete for state and local contracts, you can find their specific websites through an Internet search. Each state has a different website. Simply search for “(city name|county name| state name) procurement” or “(city name | county name | state name) contracts.” Here are two examples – example #1 and example #2. You get the gist. As I mentioned before, most government agencies have mandates to work with small businesses. This provides a huge advantage for small businesses and levels the playing field. Government agencies do this though their set-aside programs. These include 8(a) small business, service disabled veteran, woman-owned business, and HUB Zone, among others. For small business owners, getting one or more designations is extremely important. They allow your bid to compete against the bids of much larger companies on an equal footing. As I mentioned earlier, a big advantage of pursuing government contracts is that they can help your business grow. Actually, they can help your business grow quickly since some contracts can be sizable. But there is a catch. You must have the resources to deliver. You don’t want to be in a position where you win a bid and then fail to fulfill it. This could have negative consequences. Government agencies pay their invoices in 30 to 60 days. This payment delay can create cash flow problems if you can’t afford to wait. Government agencies can place very large orders. If you do not have the funds to pay your suppliers/vendors, you may have to pass on the opportunity. An accounts receivable financing program helps your cash flow by financing government invoices. Instead of waiting 30 to 60 days to get paid, you get immediate funds from the factoring company. This funding gives you the money to pay operating expenses and grow. 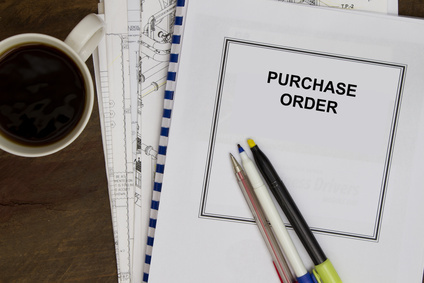 A purchase order financing program helps government vendors that don’t have the funds to pay the supplier costs associated with a specific order. It provides funding so that you can pay suppliers and fulfill the order. Note that PO funding can be used only by companies who resell third-party goods without modifying them. A supplier financing program helps contractors that manufacture goods and need to fulfill orders or build inventory. A finance company provides you with credit and intermediates your supplier purchases. This enables you to get the raw materials and goods that you require. Lastly, asset-based lending is used by larger companies who want to improve their cash flow by financing their current assets. An asset-based loan allows you to finance accounts receivable, inventory, machinery, and other assets.